Tamil Nadu talent M Kunal crashed through the defenses of GM Sabino Brunello of Italy on a tough second round for higher rated Grandmasters in the 13th Parsvnath International Grandmasters chess tournament now underway here at Ludlow Castle sports complex. 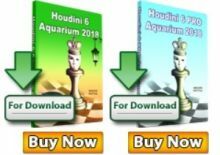 Kunal’s victory over Brunello came out of an irregular opening with white pieces where in the Indian showed a lot of maturity and trapped his opponent’s queen as early as on the 19th move. The rest was child’s play. It was a day of big upsets as many Grandmasters found the going tough. 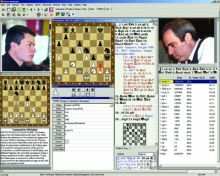 Apart from Brunello, GM Eldar Gasanov of Ukraine, Duc Hoa Nguyen of Vietnam, Ziaur Rahman of Bangladesh and Vladimir Lazarev of France bit the dust against their respective Indian opponents. 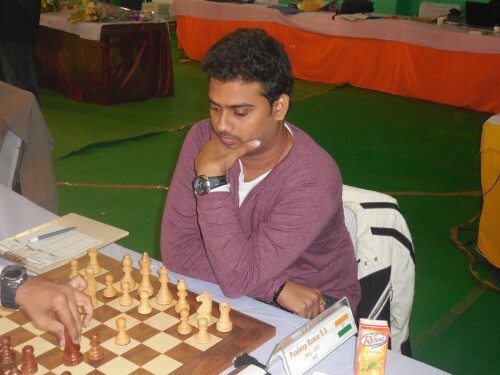 R A Pradeep Kumar turned out to be one of the bigger gainer of the day as he accounted for Gasanov with black pieces. Kumar was a treat to watch once he gained the upper hand and capitalised on further errors by Gasanov to be on two points from as many games. 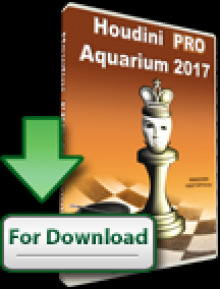 M G Gahan made merry at the expense of Nguyen who was shocked by the Karnataka player in a fine display of positional chess. 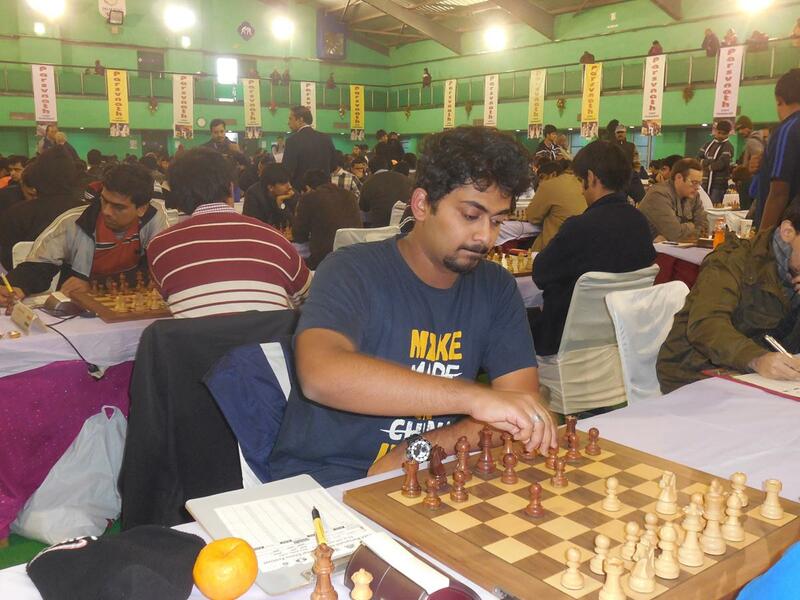 Abhishek Kelkar and Nishant Malhotra played an identical Slav defense with black pieces and the former defeated Bangladesh’s Rahman, a winner of many Indian international tournaments. Malhotra was also seen at his best in tackling the vast experience of Lazarev who was outdone in the middle game. At the top of the tables, top seed defending champion Abhijeet Gupta maintained a clean slate with a finely crafted victory over Nr Vignesh. 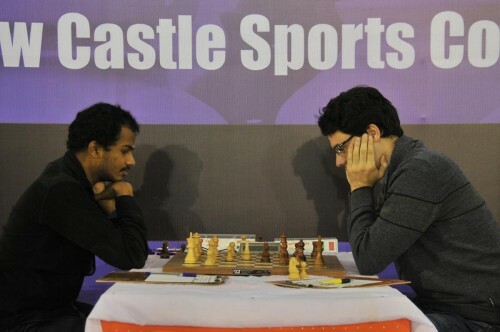 The Catalan opening by Gupta as white yielded a slightly better position which was nurtured to perfection by the former world junior champion. 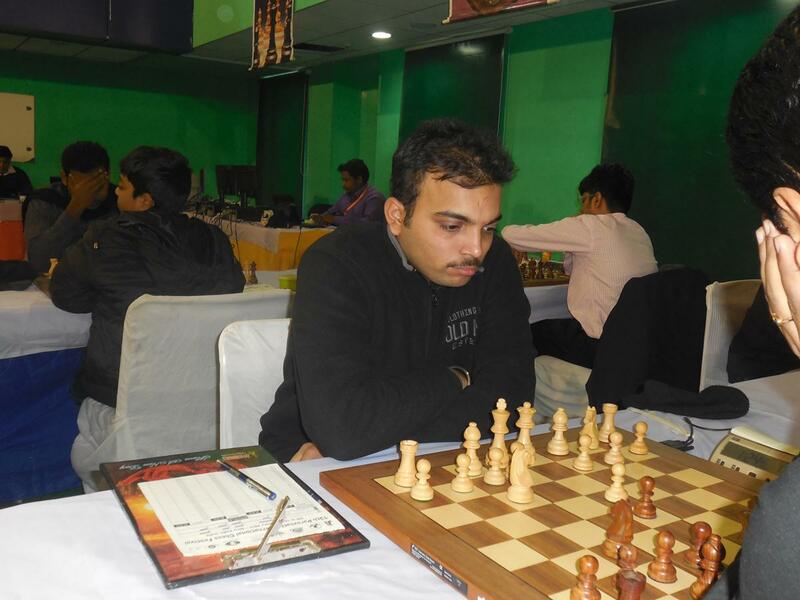 Among other Indians, Delhi’s Aradhya Garg caused an upset defeating V A V Rajesh while Delhi’s GM Sahaj Grover accounted for B S Shivananda after a hard-fought game.